Joe Flacco, Baltimore Ravens – Joe Flacco injured his hip in Week 9 and hasn’t seen the field since. For the past month, Flacco has been rehabbing his hip injury and appears to be making strides in returning to the field. He returned to practice this week for the first time since his injury but was only doing some light jogging, throwing, and pocket drills. He is listed as doubtful for Sunday, so rookie, Lamar Jackson, will get his third straight start against the Falcons. Mitchell Trubisky, Chicago Bears – Trubisky injured his right shoulder late in the team’s Week 11 game against the Vikings. The team then decided to sit their second year QB on Thanksgiving coming off a short week. It appears as though Trubisky will miss his second straight game on Sunday against the Giants as he’s listed as doubtful on the injury report. The 8-3 Bears have the luxury of playing it safe with their franchise QB, and it appears as though they have no issue doing that. Chase Daniel will start on Sunday. Andy Dalton, Cincinnati Bengals – Andy Dalton’s 2018 season is over after he suffered a torn ulnar collateral ligament in his right thumb in Week 12. This ligament is crucial to being able to grip a football, so it’s no surprise to see the Bengals shut him down in what appears to be a lost season for Cincy. Jeff Driskel will get the start for the Bengals. Sam Darnold, New York Jets – The Jets’ first-round pick, Sam Darnold, hasn’t played since Week 9 as he deals with a foot injury. He got in limited practices all week, but I would expect the Jets to be cautious with Darnold. If he sits this week, he’s likely to be active next week. Josh McCown would start again. Melvin Gordon, Los Angeles Chargers – Gordon was listed as questionable for last week with soreness in his left knee, but that’s not why he finds himself on this list. Last week, Gordon sustained a grade II MCL sprain, which will force him to miss the next 2-4 weeks. Hindsight is always 20/20 of course, but there’s no way this could have been predicted, as some out there think Gordon should have been held out last week against the Cardinals. Regardless, Gordon owners will be without him for at least this week and more than likely next week. Look for his status to be updated next week. Kerryon Johnson, Detroit Lions – Johnson is out once again for Week 13, as he will miss his second straight game. He injured his knee, suffering what appeared to be a PCL sprain during the team’s Week 11 game against Carolina. Johnson has yet to return to practice since his injury, and the team worked out C.J. Anderson this week. It’s possible Johnson is still multiple weeks away from returning. Alex Collins, Baltimore Ravens – Collins missed Week 12 with a foot injury, which he sustained in practice on Thursday. It was a bit of a surprise after he returned to a full practice on Friday heading into the weekend. This week was no different, as Collins was listed once again as questionable heading into the team’s Week 13 tilt with the Falcons after a full practice on Friday. However, in what was a shocker, the team placed Collins on injured reserve Saturday morning, ending his 2018 season. During the same roster transaction, Kenneth Dixon was active from injured reserve. Gus Edwards, Baltimore Ravens – Speaking of Edwards, he too is dealing with an injury heading into Sunday. Edwards has been listed on the injury report this week with an ankle injury, which forced him to miss practice on Wednesday. 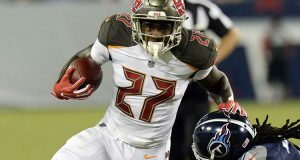 Like his fellow backfield mate, he got in a limited practice on Thursday and a full practice on Friday, so he is expected to be active and lead the team in touches. I am more concerned about Collins given that his injury actually forced him to miss a game. Edwards has had 40 carries over the past two weeks, so his limitation this week is more likely due to rest and wanted to limit his reps in practice. Collins being placed on IR means this is likely Edwards’ backfield moving forward. 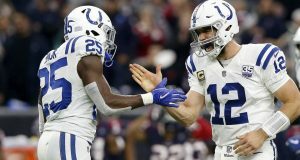 Marlon Mack, Indianapolis Colts – Mack sustained a concussion in Week 12 against the Dolphins, but he should be active for Week 13. His is listed as questionable but is expected to clear the league’s concussion protocol after returning to a full practice. Concussive symptoms do have the chance to present themselves after the athlete ramps up their activity, so Mack isn’t out of the woods just yet. Look for a final decision regarding Mack late on Saturday or early Sunday. Chris Thompson, Washington Redskins – Thompson hasn’t played since Week 8 as he’s been dealing with an injury to his ribs on both sides of his ribcage. It’s unclear whether or not his ribs were broken or just bruised, but a rib injury is one of the most difficult injuries to play with, so it’s not surprising that he’s been out for a month. Thompson returned to practice this week, but with the ‘Skins playing on Monday Night Football, we won’t have a final injury designation until Saturday evening. Adrian Peterson, Washington Redskins – AP is listed on the team’s injury report with a shoulder injury, but he returned to a limited practice on Friday and is expected to be active on Monday. He’s been battling shoulder soreness off and on for the past several weeks after dislocating his shoulder back in Week 5, so Washington will probably limit his reps in practice moving forward. Josh Adams, Philadelphia Eagles – Adams popped up on the injury report on Saturday out of nowhere with a hip injury, which forced him to be limited in practice. Because the injury happened so late in the week, it is certainly a concern. If you’re debating between Adams and another player, you may want to play it safe as there’s no way to know if Adams will start and get the 15+ touches he’s been getting the past couple of weeks. Stefon Diggs, Minnesota Vikings – Diggs has been on the injury report this week with a knee injury, and in my opinion, he should truly be viewed as questionable for Sunday’s game against the Patriots. He didn’t practice on Wednesday or Thursday and was seen with a compressive sleeve around his knee at practice. However, he got in a limited session on Friday and Diggs himself insists he will play. Last time he told us he’d be active, he was inactive in Week 9. You can’t always trust what the player tells you, so if you’re planning to start Diggs, double check the inactives an hour and a half before the 4:25 EST kickoff. Devin Funchess, Carolina Panthers – Funchess didn’t play in Week 12 as he’s been nursing a back injury. However, he returned to limited practices on Thursday and Friday, so he could be active for Week 13. In fact, head coach, Ron Rivera, told the media on Friday that if the ‘probable’ designation still existed when listing players on the injury report, Funchess would have been listed as such. Therefore, I fully expect Funchess to be active for Week 13. Bruce Ellington, Detroit Lions – Ellington is listed as questionable heading into Week 13 with back soreness, but he’s not in danger of missing Sunday. He was listed with the same injury last week and played through it. He practiced in a limited fashion all week, so he is expected to be out there again on Sunday. In two games with the Lions, Ellington has been targeted 16 times. You could do worse in PPR leagues if you’re in need of a WR3/4 or flex play. A.J. 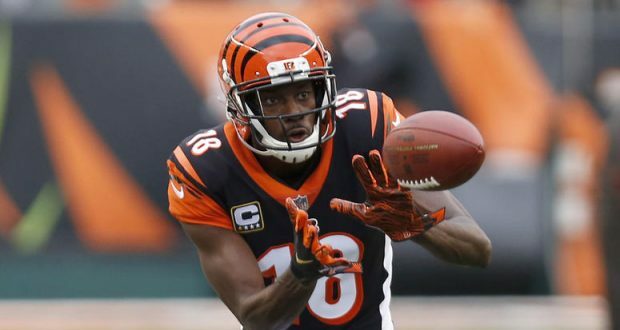 Green, Cincinnati Bengals – Green originally injured his right big toe late in the game during the team’s Week 8 game versus the Bucs. After seeing a foot specialist, Dr. Robert Anderson, it was determined that Green could avoid surgery and return at some point this season. Well, that time has come. Green has been removed from the team’s final injury report heading into Sunday’s game against the Broncos. Green’s turf toe injury is difficult to trust because of the way the toe is stressed during the sprinting motion. Here’s the tricky part – you just don’t know how it’s going to respond until you try it. Green could easily aggravate the injury during the first play or play the entire game and be fine. He’s one of the best receivers in the game, so I’m rolling with him this week. Randall Cobb, Green Bay Packers – Cobb has been dealing with a hamstring strain for the majority of the year, as he originally injured it in Week 3. After returning to the field in Week 8, he aggravated the injury in Week 9 and has been out ever since. He’s listed as questionable for Week 13 and could make his return this week against the Cardinals. Keke Coutee, Houston Texans – Coutee has been dealing with a hamstring injury for the majority of the year and his hamstring troubles continue here in Week 13. He has missed a total of 5 games so far this year and could miss his 6th game on Sunday. He will be a game-time decision against the Browns, but even if he’s active, he’s very difficult to trust. I’d keep Coutee on my bench this week given the high risk of aggravating his hamstring strain. D.J Chark, Jacksonville Jaguars – Chark has likely not been a staple in your fantasy lineup during his rookie year, but he’s been ruled out for Week 13 once again with a quad injury. He’s been playing as the team’s third receiver, but with Chark out for his second straight week, Keelan Cole has an opportunity to regain his role in the Jaguars’ passing offense. Sammy Watkins, Kansas City Chiefs – Watkins is out for Week 13 with a foot injury that has plagued him for the past few weeks. By now, we’re all familiar with Watkins history of foot injuries, but it’s unclear if this current injury is related or not. 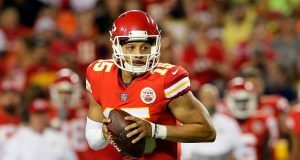 The Chiefs were on bye in Week 12 and he barely played in Week 11, so the fact that he is still out with the same injury is concerning. Look for Watkins’ status to be updated next week. Tyrell Williams, Los Angeles Chargers – Williams was active in Week 12 against the Cardinals, but he barely played. He was out there on just nine offensive snaps, so it’s obvious he’s playing at less than 100% with his quad injury. He is expected to be active on Sunday Night Football, but there’s no way you can start him. Mike Williams should see a bump in his target share with Tyrell battling injury and Melvin Gordon out. Danny Amendola, Miami Dolphins – Amendola was listed on the injury report last week with a hamstring strain, but he’s listed this week with a knee injury sustained in Week 12. He is doubtful for Sunday and is very unlikely to play. DeVante Parker, Miami Dolphins – Parker has been dealing with this shoulder injury for the majority of the season, but he’s battled through it. He’s listed as questionable, but I fully expect him to play on Sunday. Robby Anderson, New York Jets – Anderson has been battling an ankle injury all season, and the same is true for Week 13. He has been practicing in a limited fashion, so he should be active once again. Those who were hoping for an Anderson resurgence with Josh McCown under center have been disappointed. He caught just 2 balls for 22 yards last week. DeSean Jackson, Tampa Bay Buccaneers – Jackson has been listed on the injury report with a thumb injury for the past couple of weeks. He’s played through the injury for the last two weeks, but he’s out for Week 13. He has been wearing a splint on his thumb in practice and wasn’t catching balls this week, so it’s no surprise he’s out, especially after visiting a hand specialist. It’s possible Jackson aggravated his injury last week. Adam Humphries is a very intriguing play against Carolina with Jackson out. Jeff Heuerman, Denver Broncos – Jeff Heuerman was having a breakout couple of weeks recently, but that train has come to a screeching halt. He suffered a bruised lung and multiple broken ribs last Sunday against the Steelers. He was placed on injured reserve this week. Matt LaCosse is an interesting name for those who need help at TE, as Case Keenum was frequently looking Heuerman’s way in recent weeks. Jack Doyle, Indianapolis Colts – Doyle suffered a season-ending kidney injury in Week 12 and has been placed on injured reserve after taking a hard hit to the left side of his low back where one of your kidneys is located. Eric Ebron will have the chance to build on his 11 TD season thus far and is a locked-in TE1 moving forward. Rob Gronkowski, New England Patriots – Gronkowski was added back onto the injury report on Thursday with the back and ankle injuries that have plagued him this year. Gronk was removed from the injury report on Friday, so he’s going to be active, but I would expect him to be a fixture on the team’s injury report for the rest of the year. His back injury is a chronic injury, which will cause him to be limited off and on for the next several weeks. Regardless, he will be active on Sunday. Evan Engram, New York Giants – Engram suffered a hamstring strain during pregame warmups last week and didn’t play a single snap. This week, to no one’s surprise, he’s out after not practicing at all this week. Engram has been a massive disappointment after a breakout season last year. Jordan Reed, Washington Redskins – Reed has been very healthy all season long, which is impressive given his track record. However, he’s questionable for Monday Night Football against the Eagles with a back injury. Reed practiced in a limited fashion all week, so it’s more likely than not that he does suit up. If for some reason he can’t go, Vernon Davis would be a strong play.